Last week, Alastair Morgan delivered a letter for the personal and specific attention of Rupert Murdoch, to News UK’s offices in London, on the 28th anniversary of the brutal murder of his brother Daniel in a south London pub car park. He asked Murdoch, whose now-defunct Screws was intimately involved with putting those investigating the killing under surveillance, to now Do The Right Thing. Morgan asked that Rupe allow his organisation - at all levels - to cooperate with the panel Inquiry that has been set up by Home Secretary Theresa May. Murdoch has it in his power to cause information to be made available to that Inquiry. And another Eighties event with which the Murdoch empire is intimately linked is the Hillsborough stadium disaster of 1989. Here, it was the Sun and its reporting. But there is another aspect to Hillsborough. That is the actions of then Prime Minister Margaret Thatcher. It’s true that many of the Cabinet Papers from the time will become publicly available in 2019 under the 30-year rule. But, as with the Daniel Morgan murder, there are those who cannot merely sit and wait another four years. Mrs T has passed on in the meantime. But her former press secretary Bernard Ingham is still with us. At the time, his comments were brusque in the extreme: “I have no intention of apologising for my views which are sincerely held on the basis of what I heard first hand at Hillsborough. I have, however, one suggestion to make: for its own good, Liverpool - with the Heysel disaster in the background - should shut up about Hillsborough”. Ingham and Mrs T were close, so the question has to be put: was the view he put so bluntly shared by his boss? Few people can claim to speak authoritatively on the then PM’s demeanour, attitude, decisions and pronouncements. Fewer still are with us today. Bernard Ingham still contributes a regular column to the Yorkshire Post. He is not usually backward in coming forward. Will he now help the Hillsborough families and relatives? Nobody is suggesting the press descend on his house - Ingham and his wife now need the services of a carer, and he is 82 years old - but he is the last close link with Mrs T. What she thought and did in the wake of the Hillsborough disaster needs to be more widely known. Will he do what Alastair Morgan asked of Rupert Murdoch - Do The Right Thing? 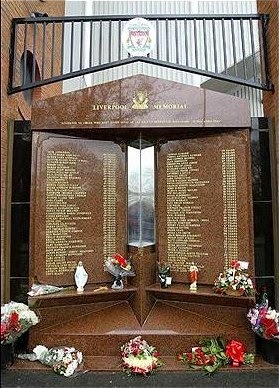 The Hillsborough families know so much more about the events of 26 years ago. What were the Prime Minister’s thoughts and actions? How did they influence events? Bernard Ingham can help unlock that mystery. The decision to help is his, and his alone.